You are here: Home / Music Marketing / Master Music Marketing In 2019, The Art Of Getting People To Listen To Your Music! Master Music Marketing In 2019, The Art Of Getting People To Listen To Your Music! Finding it difficult to get people to listen to your music? 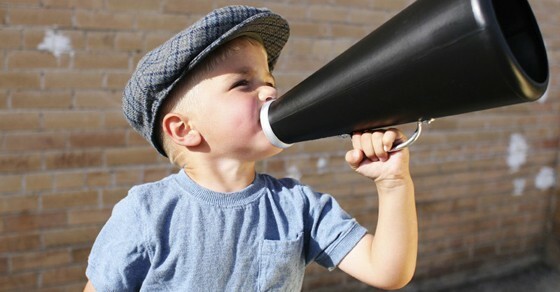 Need advice on how to promote yourself effectively? No problem, the below guide will help; today I’m going to teach you how to market your music! The ability to market your music is an essential skill that every musician should learn. That said, many musicians don’t fully understand how important this part of their music career really is. This guide will not only show you why you need to market your music, but let you know how you can get your music marketing campaign up and running, as well as some of the best practices you should be putting into effect. If you find it useful, please share it with your fellow musicians. 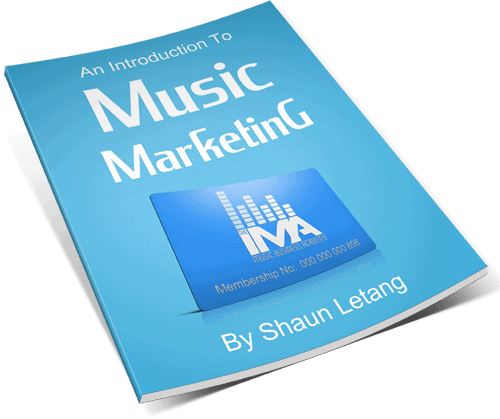 Note: This guide is a full on introduction to music marketing for beginners. If after you’ve read it you want to learn the exact steps you need for a successful music marketing campaign, you may want to consider enrolling in the course I put together. This is called The IMA Music Business Academy, and is the only guide on promoting your music you’ll ever need. For now though, let’s get on with this guide. Please read on to the end for all the info. Why Do You Need To Market Your Music? 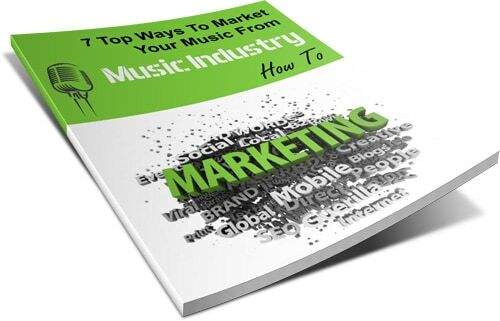 Free EBook For More Music Marketing Learning! Before you go any further, I suggest you have a look at the report ‘7 Ways To Market Your Music’ which you can get free below. It’ll give you a better idea of some practical things music marketing involves so you can follow the rest of this guide better. 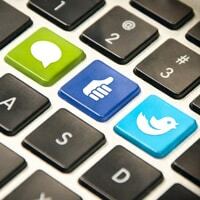 Get access by clicking one of the social sharing buttons below. So, what is music marketing? 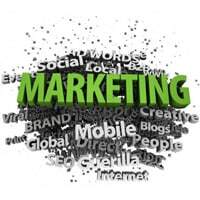 Well, music marketing, also know as music promotion, is the process of raising awareness of your music. By marketing your music, you are getting people to know it exists. Without properly promoting yourself or your music, no one would know you even make music. There are a number of ways in which you can market your music. It can be as simple as talking to people and letting them know you make songs, to bigger marketing efforts such as performing gigs, getting on TV, or letting people on social networking websites know what you’re all about (And letting them listen). Further examples of ways you can promote your music will be given as this guide goes on. Why do you need to market your music? Simple: If you don’t market your music, no one will know it exists! How many sales or fans do you think you’ll get if people don’t know you make music? That’s right, none! You can record 1000 songs and have the best album in the world, but if you don’t effectively communicate this message to people, it won’t be worth anything. Proper marketing can make or break your music career, so make sure you learn how to do so properly. Well… probably not. While it used to be the case record labels would do all the marketing for you and you just focus on projecting your talent, this is no longer an option for most new musicians. Record labels generally won’t sign you unless you already have a proven fan base, and have shown you have the potential to make money. The only way you can do this is by building up your fan base and income levels yourself. The only way you can get those things in place is by making good quality songs AND properly marketing your music. 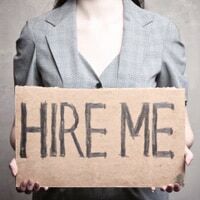 While you could always hire people to do the marketing for you, this can get costly and often isn’t a good idea unless you’re at a good level with your talent. If you’re paying someone to promote your music for you, it’s hard to get honest feedback from them. They will tell you you’re ready to get your music out there, even if you’re not. After all, they’re trying to secure a contract with you and earn a living themselves. You will sooner or later find out if the fans don’t take well to you, but by then you will have wasted a lot of time and money on music promotion. If however you had started out promoting yourself, you would have got this vibe a lot earlier, and improved your talent before you took the marketing of your music any further. So, we should start out our music marketing campaign ourselves. With this in mind, today we’re going to look at some of the ways you can do just that. Read on to the end to get a good idea of how you can get going. Ok, I wanted to jump right in with the good stuff. If you follow this one tip, you will give yourself a better chance than the majority of independent musicians out there! A common mistake when promoting their music, is many people try and reach their fans in the wrong places. Further more, they try and gain potential fans on too much of a small scale. An example of this is Facebook and Twitter marketing. While I encourage all musicians to use these tools as they can be very handy for getting yourself out there, when used wrong they can be more of a hindrance than anything else. Adding fans one by one is a long process. This will take a lot of time out of your day, and get in the way of other more beneficial things you should be doing. You’re Not Reaching Your Core Audience. If you’re adding a load of random people on Facebook, there’s a good chance that the majority of them aren’t going to be interested in what you’re offering. This means you’re wasting a load of time and effort in adding people that will never be a fan of your music, and you’ll probably get marked as spam a lot too. This can, and probably will, lead to Facebook deleting your account. Finding out where your audience hang out, and reach them all there at the same time! Makes sense right? Why try and turn people into fans one by one when you can reach a load of people that are already fans of your music all at the same time? Doing it any other way is an uphill struggle, and won’t give you as much results in the long run. Yes you may get a few fans by reaching people using the 1 by 1 method, but it’s a constant grind. Making it in music is always going to be a grind anyway, but you don’t want to make it more of one than it needs to be. Further more, you’ll find it nearly impossible to build up any real traction. On the other hand, if you can reach a load of very targeted people in a short space of time, you will be more likely to get a much better reaction. Not only will you be able to see people instantly enjoying your music, but as there is more people finding out about you at the same time, the chances of ‘word of mouth marketing’ are much higher as well. People will start talking about you, and as other people interested in your genre also just heard about you, they will be able to relate and carry on the conversation. How can you reach a load of potential fans at once? Well with regard to where they hang out, this can vary. It will of course differ based on what genre of music you make, but if we’re looking at things in broad terms, there are two main places; Online, and offline. We will look at these places more specifically below, and look into some of the most popular places you will find a load of people who are into the types of music you make. Now to the second question. Once you find out where your audience hang out, how can you reach them all at the same time? That one has a answer I can give a lot quicker: By using established outlets to get yourself heard! This can be in the form of a community radio station, a popular website, a popular Youtube channel, and the like. Once again, we’ll look at this more below in the ‘Marketing Your Music Online’ and ‘Marketing Your Music Offline’ sections. So with this in mind, read on for some cool ways to both market your music on and offline. Online music marketing is probably the path most independent musicians take when it comes to getting their sound out there. This is partly because the ease of it (You can promote your music from the comfort of your own home) and partly because of the potential reach. With the internet you can access people in nearly any country of the world. Baring in mind you’ll want to leverage established platforms rather than building up a fanbase slowly yourself, we’re going to want to initially build connections with other media outlets, rather than with fans one by one. Yes you should reply to fans when they reach out to you, but you shouldn’t initially be trying to reach out to them in this manner. Instead, put the majority of your time and effort building up relationships with people that can get you out there on a much wider scale. Big Websites In Your Genre. Online Radio Shows That Cater To Your Type Of Music. Music Forums In Your Genre. Youtube Channels In Your Genre. Facebook And Twitter Groups And Pages That Cater To Your Type Of Music. They have people who like your type of music watching them. They have a much bigger reach and influence than you. People that listen to these channels and read these websites respect what their owners have to say. Therefore, if a owner of any one of these mediums tells it’s followers you’re the next best thing since sliced bread, you are bound to get an influx of people visiting your website and taking notice of you. From this point it’s down to you to give people a good impression of your self and get these people on your mailing list, but you’ll have a much easier sale on your hands than if you was just another random musician blowing their own trumpet. A neutral and respected third party bigging you up is always more effective than you doing it yourself, so bare this in mind. While these big platforms may take longer to cover you and it may feel like you’ll start seeing quicker results from Twitter adding, when you do get a break through, the results will be a lot bigger. The great thing about this style of doing things, is you can leverage your first success and use it in your musical CV. When you tell other big forum owners and radio stations that you’ve been featured on a well respected Youtube channel, many will be a lot more likely to listen to you and in turn give you a slot on their outlet. After all, if ‘That person’ featured you, they can’t miss the opportunity of also covering potentially the next big thing. Leveraging previous successes is important if you want to keep up momentum and grow as a musician, and something I will talk a lot more about in future. A big mistake many musicians make, is they only ever promote their music online. Why is this a big mistake? Well, mainly because all the extra exposure they leave on the table! There are a lot of established offline mediums you can use to get your music out there, so you should put as much effort into getting on them as you would getting on the online promotion sources. 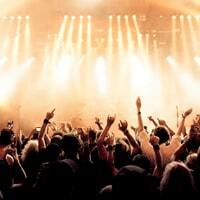 Performing Live Gigs In Venues Where Your Target Audience Will Be. Making Music Videos And Getting Them On Relevant Music TV Channels. Getting Your Music On Local Radio Stations. Appearing In Radio And TV Adverts. Having Your Flyers And CDs In Industry Related Shops. Using Street Teams To Spread Your Message. (You’re not leveraging anything here, but we’ll look at why this method of offline promotion can still be useful below). Even just missing out the first of these things will mean you’ll reach a lot less of your target audience than you would otherwise. Performing gigs gives you a chance to get an instant reaction from your music, and connect with potential fans on a much more personal level. It’s possible to plant seeds a this stage, and do the early relationship building needed to make life long fans. Music videos on genre specific TV channels (Or general ones), appearances in other people’s projects, street selling and the like are all other ways to get your face seen and your music heard. While street selling doesn’t keep in line with our leveraging method, it is still good for starting to understand what makes people buy from you. Once you learn the factors that will make people make a purchase from you, you can use this throughout your music career to greatly increase the amount of sales you end up making. I’d suggest a healthy mix between both online and offline music promotion. Both have their uses, and should be used together rather than have it a ‘one or the other’ type situation. I’ve said it before, and I’ll say it again: Making good music alone isn’t enough to make you a well known and paid musician. People won’t find out about you simply by you being able to make music, you need to do everything you can to get your music out there. This is the process of music marketing, and a process you have to undertake if you want to be more than just a ‘bedroom musician’. Using other people’s established platforms is one of the best ways to do this, and one of the fastest routes to success as a musician. My name is Jan, I want to be a rapper but the difficult thing is to market myself. So Shaun, all record label wants musicians who are known and have fans? Great advise Shaun. But my question is, how do you market yourself when you are actually opening a new path. I mean when your music can not be 100% classified in one field. This is what is happening to me. I dont seen to fit in a concrete market and yet I could fit somehow in many of them (although not totally). Great to hear Noel, just goes to show there’s no age limit on making music! Good luck with promoting it. I really like the guides that you provide. I’m still in high school and just started songwriting so this is really helpful but i do have a question. Ok, so i just wrote my first song what should the next step be? But, my friends (band) and I, want to go professional, but the language we write in (Japanese), is not the native language of our country (America). Do you think we’d have to translate our music into English to get a record label contract? Or could we possibly get into record label with our original music? Thanks man………. alot of help…. i have just started making music and those who listened it also downloaded it. They said they liked it alot. Soon i am also performing in front of a very large crowd….. (atleast 10,000) in my city for the very first time. I also want to have my music on tv channes and radio. Can you suggest me what should i do to do it and promote my music further? You’re welcome Ketan. There’s a lot more marketing advice on Music Marketing World, guides are posted daily so check that out.